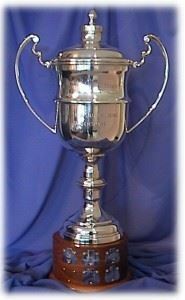 The Tom Waddell Award, symbolised by the Dr Tom Waddell Trophy, focuses attention on the single most important aspect of the Gay Games, that of participation. It is presented every four years in conjunction with the Gay Games. 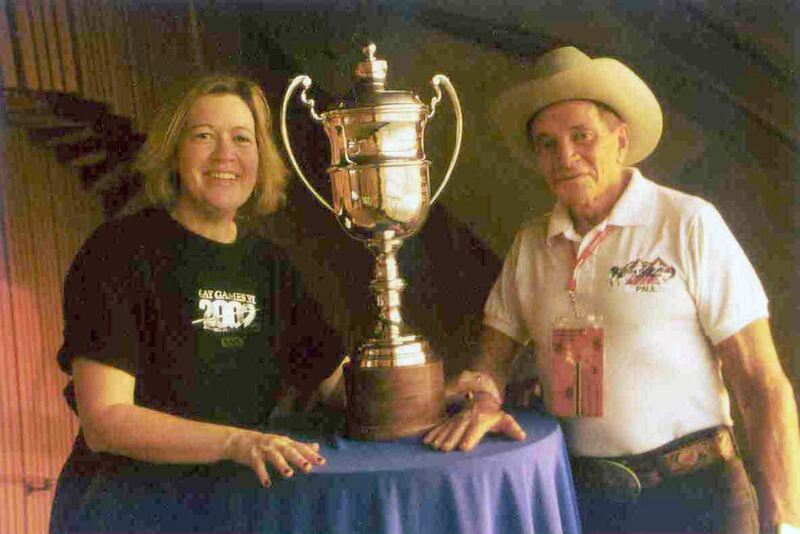 The Dr. Tom Waddell Trophy represents the history and legacy of Dr. Tom Waddell, of the Games he founded, and the nearly thirty-year movement (now 36 years) they have launched and nourished. It is symbolic, a vessel for our spirit, our inspiration, and all of the tears of joy shed by the thousands of participants whose lives have been touched by the power of Gay Games. We entrust our hosts in Cologne with this Trophy, as we have entrusted them with the legacy of the Games founded by Tom Waddell, confident that they will return this symbol in a few short months, and, more important, return the faith we have shown in them by sharing the flame of the Gay Games with thousands of men and women from around the world. 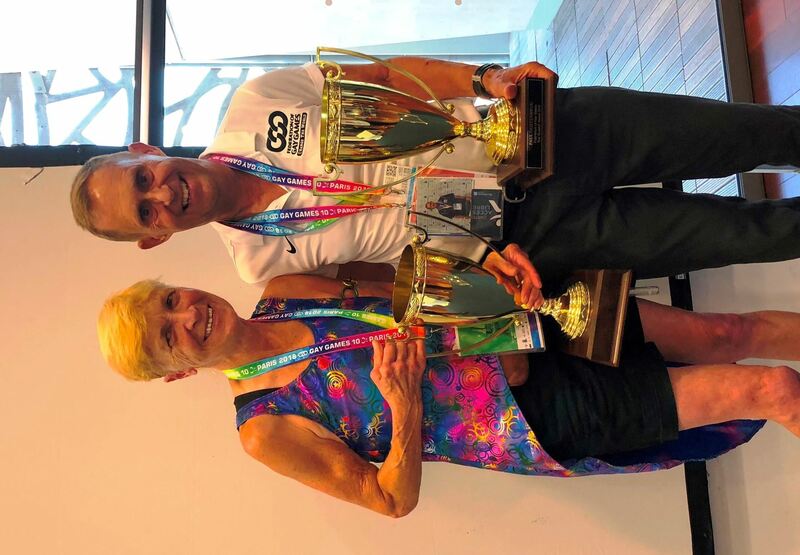 To be eligible for consideration for the award, a nominee must have been involved with the Federation of Gay Games, a Gay Games host organization, or a sports or culture organization that supports gay/lesbian activities with a direct connection to the Gay Games. 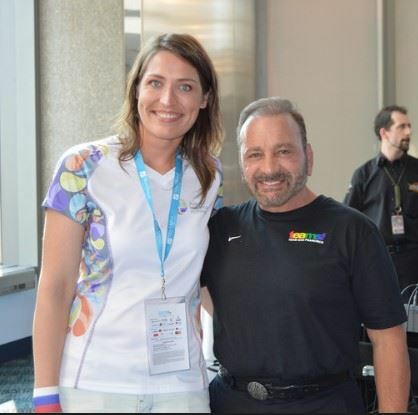 A nominee may not currently be serving as a member of the Federation of Gay Games board or serving on the board, staff, or as a volunteer for the current Gay Games host. 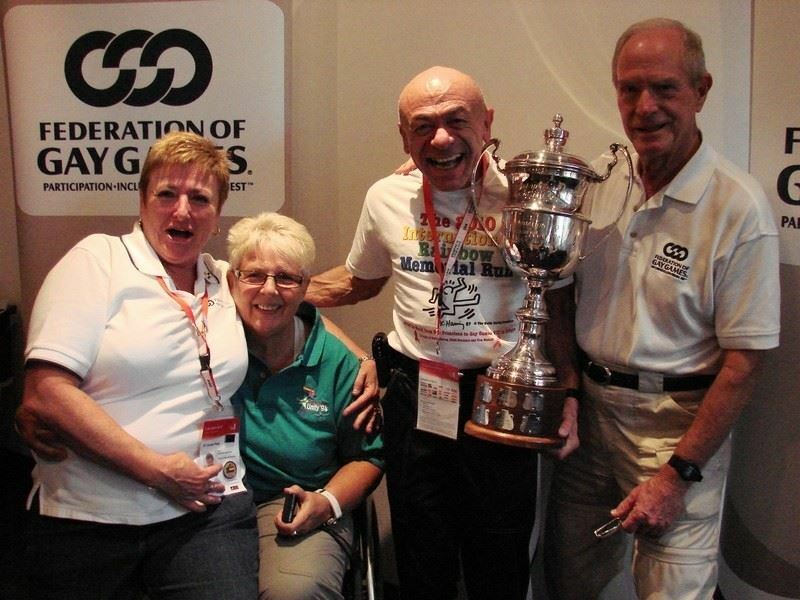 NOTE: The Federation of Gay Games is currently evaluating the nominations for the Tom Waddell Award for 2018. We plan to announce this year's recipients by 30 June 2018, which will be presented in Paris during Gay Games 10 in August. The next nomination cycle for the Tom Waddell Award should begin in early 2022. 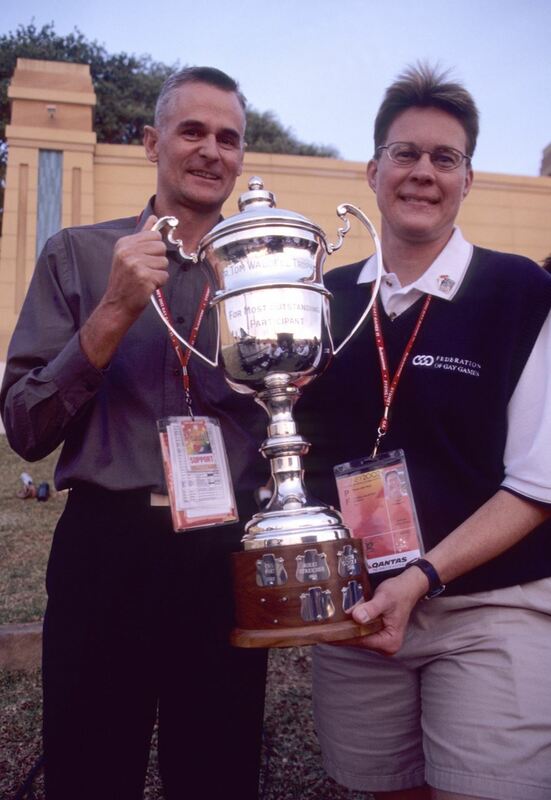 The Dr. Tom Waddell Trophy was first awarded in 1990 at Gay Games III, Celebration ’90 in Vancouver. 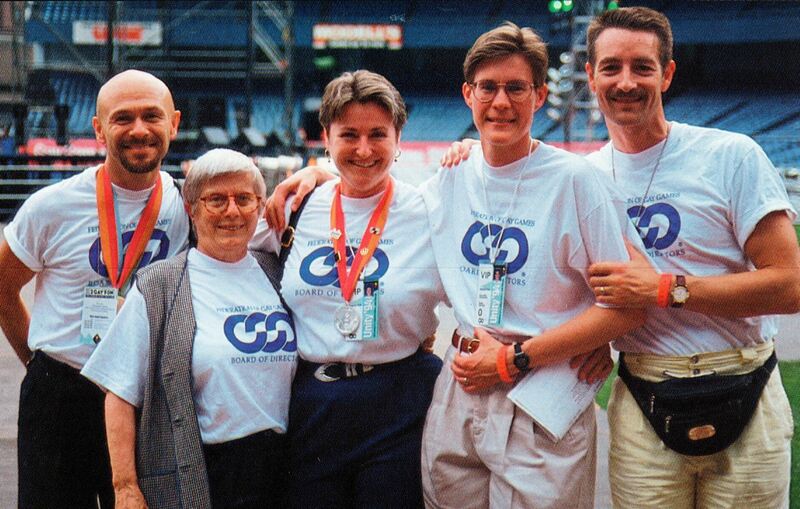 1990 Tom Waddell Award recipient at Gay Games III in Vancouver. In the background is future award recipient Brent Nicholson Earle. Rikki Streicher (second from left), recipient of the 1994 Tom Waddell Award, poses with Brent Nicholson Earle, Sara Waddell-Lewinstein, Susan Kennedy, and Rick Peterson.